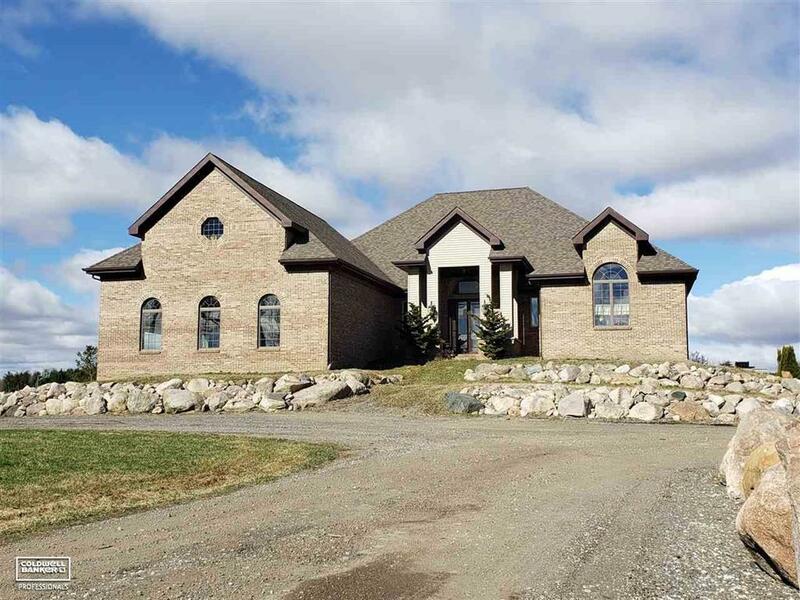 Spacious & exquisite split ranch on 3 acres is a unique find! Home has numerous custom features. Entering the living area from the foyer, you will see the open concept living area. 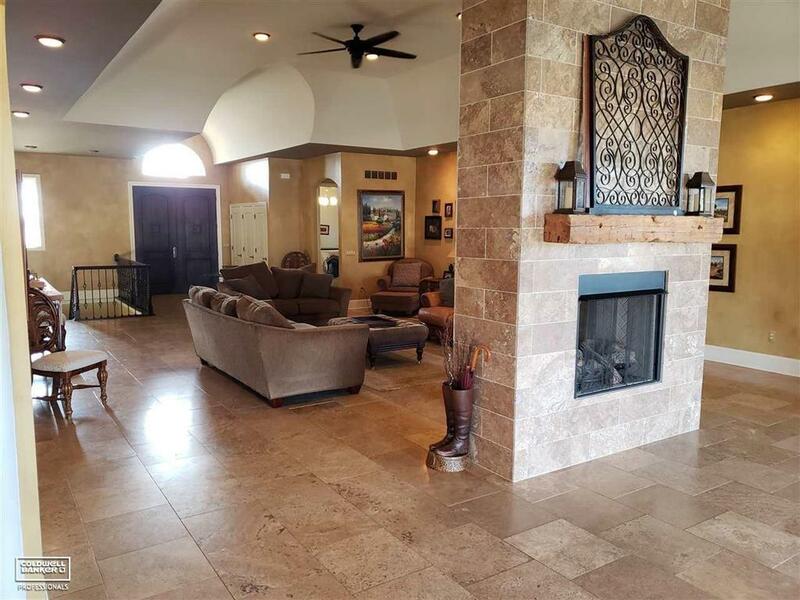 There is a 2 sided fireplace & view the multiple french doors out to the covered patio area that provides these rooms with enormous amounts of nat. light. Lrg kit has huge amount of custom cupboard space & a walkin pantry. Lrg island w/multiple spots for seating is great for enjoying your meals. 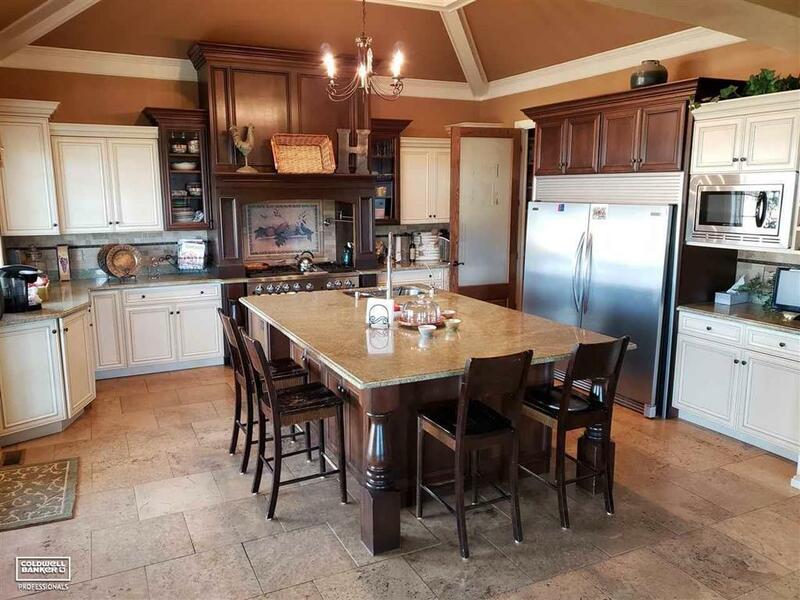 Custom granite countertops provides even more class to this high end kit. First level flooring is custom tiled & laminate for low maintenance. Note sizes of bedrooms-all have abundant closet space. 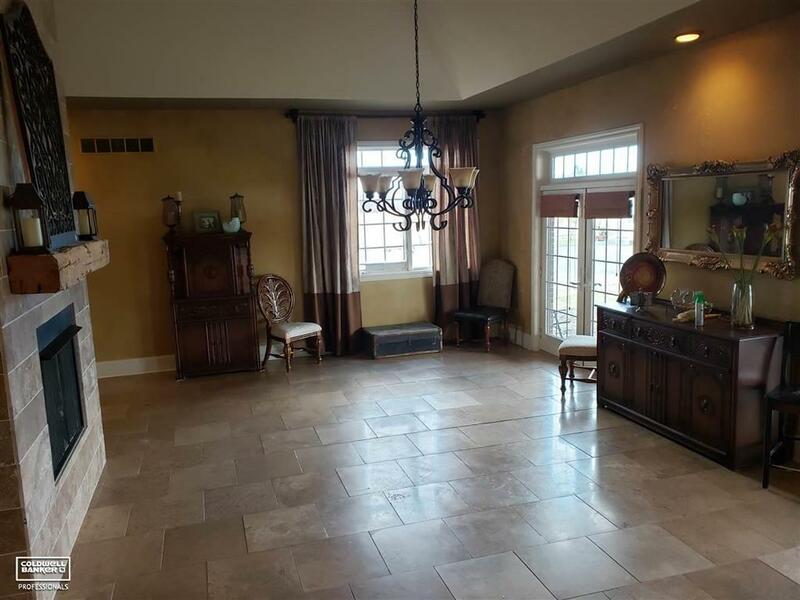 Master suite has dressing area, w/walkin tiled shower & 2-walkin closets. Spacious fin. basement has workout area, 5th bdrm, recreational area, & full bath. Outdoor woodburner, along w/on demand water heater & hookup for backup generator. 2 Pole Buildings: 30x40 & 30x50 provide ample storage. Large pond to view from porch!